Signed copies of Julian's books will be available. on Friday 15th February at 7:30pm. £2.50 entry. 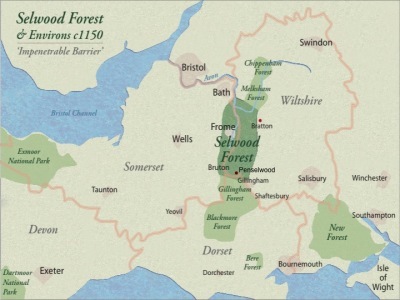 Julian will present an illustrated talk on Selwood Forest and his travels to some of the world's ancient trees on Saturday 13th October at 2:45pm. Signed copies of his books will be available. 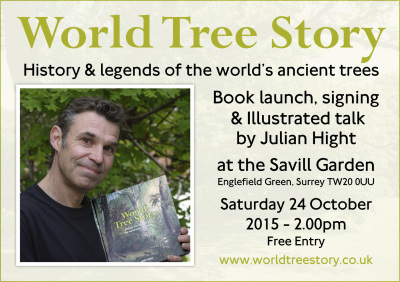 Julian will present an illustrated talk on his travels to some of Britain's and the world's ancient trees on Saturday 6th October at 8pm. Signed copies of his books will be available. 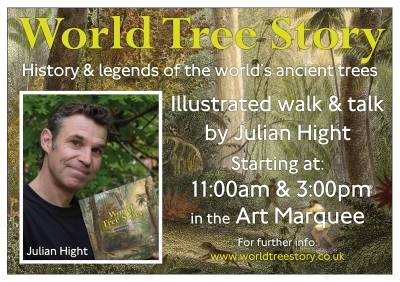 Julian will be presenting talks on his travels to some of the world's ancient trees on Saturday and Sunday at 12:00am & 2.30pm. Signed copies of his books will be available at his stall near the house. 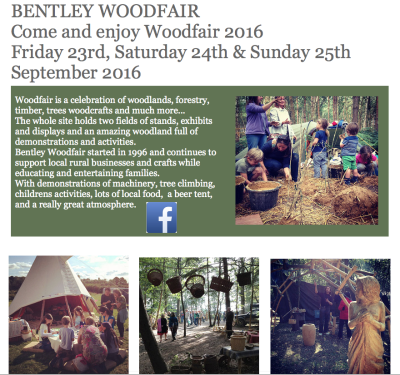 See the video on video blog page filmed at last year's woodfair. - Julian Hight will be joining us for the afternoon. 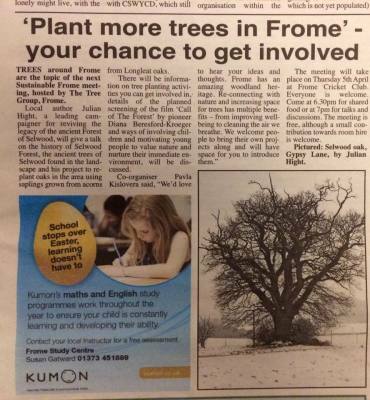 -Learn about local urban trees and wildlife. 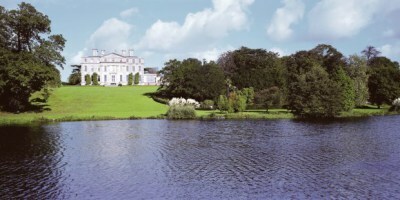 -Tree and wildlife experts will be doing guided walks. 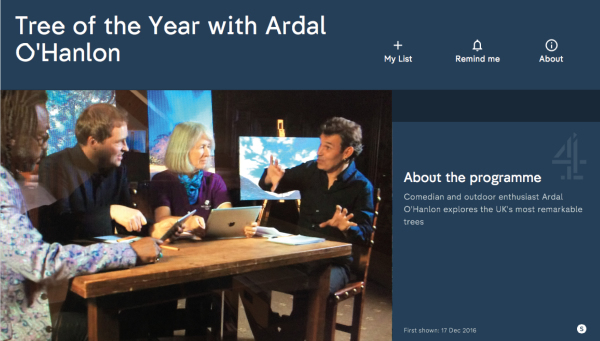 -Meet Arboriculturalists from our local parks dept. -Kids activity sheets, chalks and tree stencils. 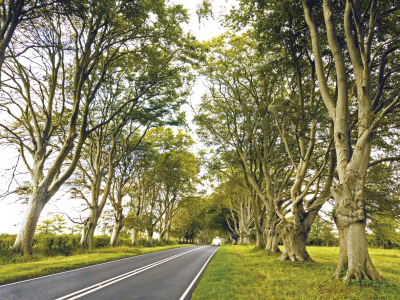 -Woodland Trust's 'Tree Charter' will be on display. 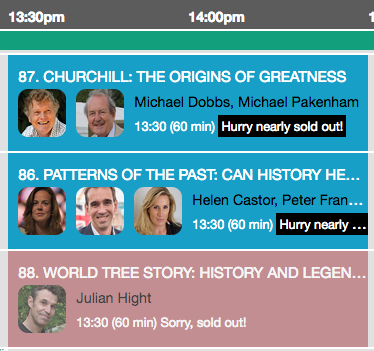 Julian will talk about his travels to photograph ancient trees of the world followed by a short walk around the Oak Fair to discuss the history and ancient tales behind the trees on the site, including our Crusader Oak. 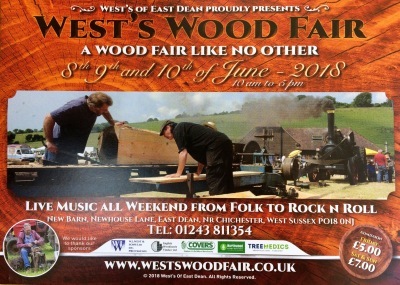 These will take place at 11am and 3pm on both days of the fair, setting off from the Art Marquee. 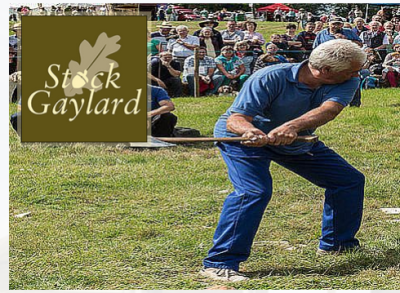 Stock Gaylard Oak Fair, Dorset, DT10 2BG. 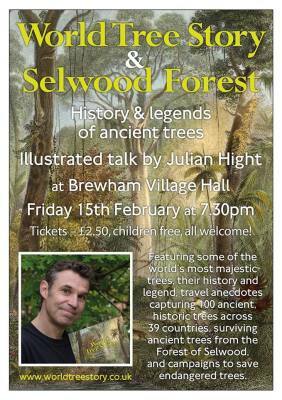 Julian will present an illustrated talk on some of the world’s most majestic trees, their history and legend, including ancient trees of note in the Selwood Forest area where he has gathered acorns from its most ancient Oaks – living links to the ancient forest – to replant as part of the ‘Reviving Selwood Forest’ project. 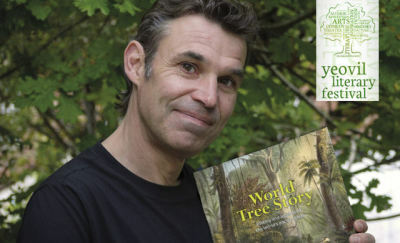 Julian will present a World Tree Story illustrated talk in the Baillie Gifford tent at 1:30pm on Saturday 30th June, and afterwards be available to sign copies of his books at Waterstones bookstand. 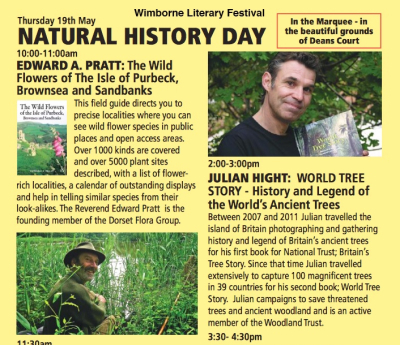 Julian will present World Tree Story illustrated talks in the Cinema tent at 11:30am and 2:30pm on Saturday 9th & Sunday 10th June, and be available to talk/sign copies of his books at his bookstand in the Marquee. 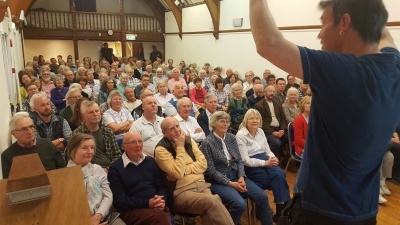 Really enjoyable World Tree Story * SOLD OUT * illustrated talk with the Blackdown & Hindhead National Trust supporters at Haslemere Museum on Wednesday 18th April. 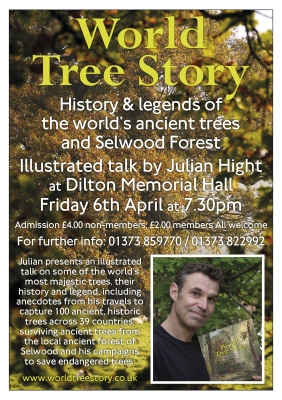 Julian will deliver an illustrated talk about World Tree Story and Selwood Forest for Dilton Marsh History Society. 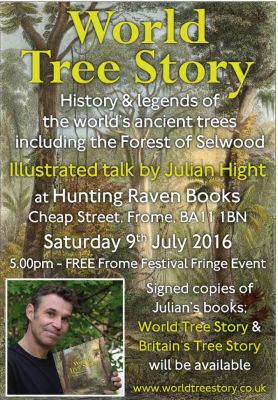 Julian will deliver a talk about Selwood Forest, and there'll be discussions about other tree projects in the town. 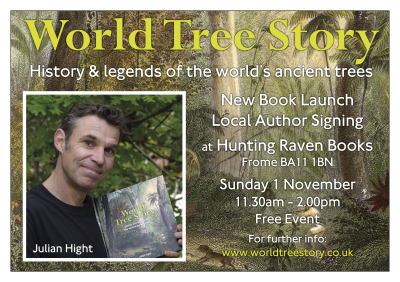 Come and meet Julian Hight at the shop on Sunday. 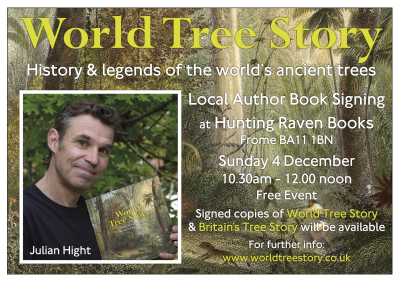 Julian will be on the porch from 11am to chat and sign books at Hunting Raven Books during the Frome Independent Christmas Market. Julian will be presenting talks on his travels to some of the world's ancient trees on Saturday at 11am & 2pm and on Sunday at 11.30am & 2.30pm. 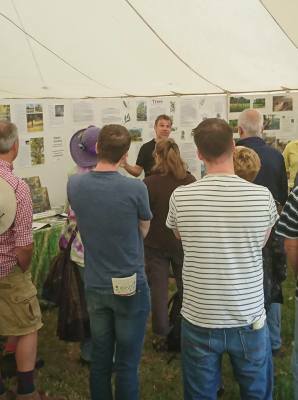 Julian will be taking groups for a walk around the Oak Fair and discussing the history and ancient tales behind the trees on the site, including the ancient Crusader Oak. 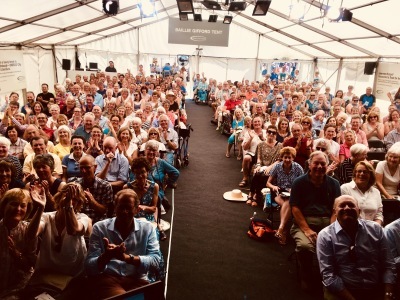 These will take place at 11am, 1pm and 3pm on both days of the fair, please head to the Stock Gaylard marquee on Conservation Row where the walks will set off from. 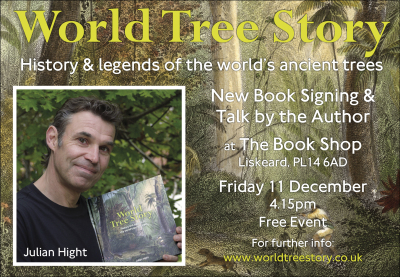 "It’s all about the arboreal fun as Julian Hight, author of ‘World Tree Story’ will tell his incredible tale of his 5-year photographic odyssey to capture 100 ancient and historic trees across 39 countries and tell their individual stories through history, legend and literature." 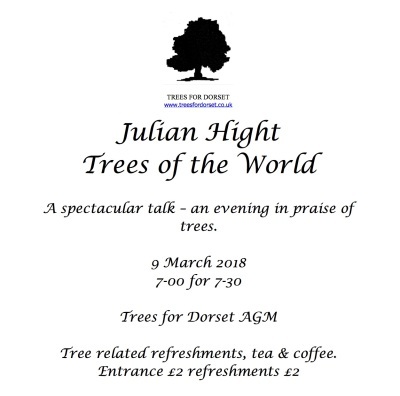 Come and hear Julian Hight talk about his five year photographic odyssey to capture 100 ancient historic trees across 39 countries. 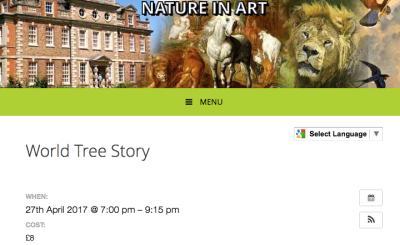 This event coincides with our a special exhibition of paintings, drawings and prints of trees. 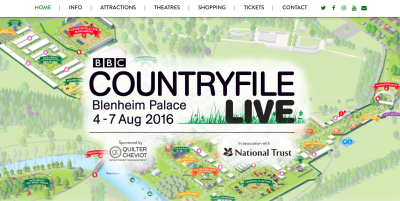 Event includes finger buffet. Signed books available. 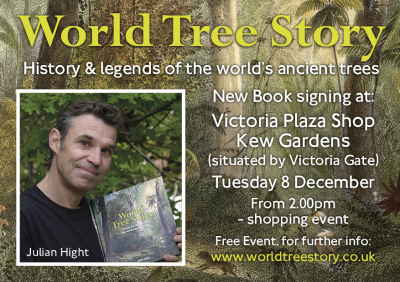 Julian will present an illustrated talk on his travels to the ancient trees of the world illustrated with photographs, stories, history & legend. 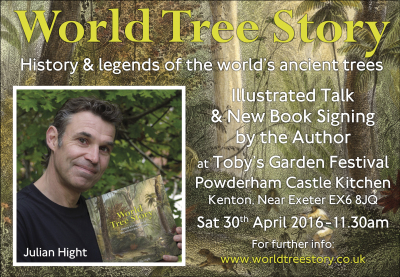 Signed copies of World Tree Story and Britain's Tree Story will be available. 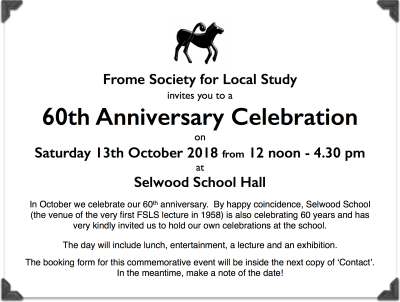 In this talk, whilst referring to this wider context, Julian will concentrate on the ancient trees of Frome, and more particularly those of nearby Selwood Forest where he has re-discovered remnant ancient trees dating from the medieval period, notably at the manorial estates that surround Frome - Longleat, Mells, Marston, Berkley and Orchardleigh - survivors of an historic wood pasture system now rare and often neglected - living links to the Ancient Forest of Selwood, its history and legend. 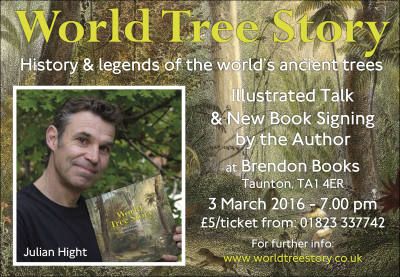 Signed copies of “Britain’s Tree Story’ and ‘World Tree Story’ will be available. 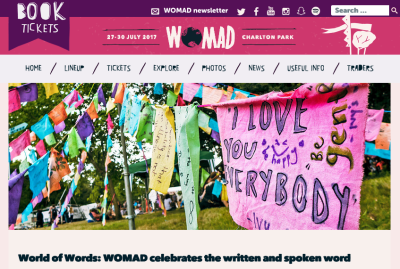 ​Alongside Crysse Morrison who is celebrating the release of her new poetry book. 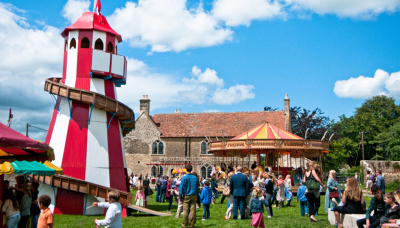 During the ever popular Frome Independent Market. 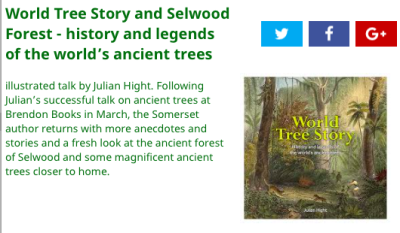 Julian will present an illustrated talk on his travels to the ancient trees of the world and Selwood Forest on Sunday 6th November at 6:00pm at Brendon Books, Taunton. Julian will present an illustrated talk on his travels to the ancient trees of the world and Selwood Forest on Sunday 23rd October at 2:00pm in the Johnson Studio at the Octagon Theatre, Yeovil. 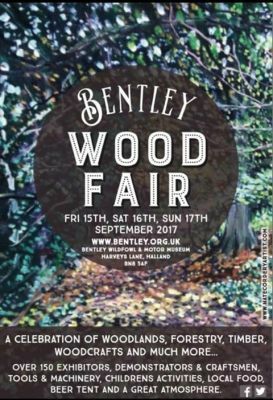 Julian will present illustrated talks on his travels to the ancient trees of the world and Selwood Forest on Saturday 24th & Sunday 25th September at 11:30am and 3:30pm in the Main House at Bentley Woodfair in East Sussex. 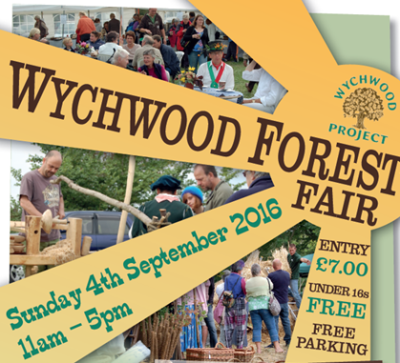 Julian will present illustrated talks on his travels to the ancient trees of the world and Selwood Forest on Sunday 4th September at 1:00pm and 3:00pm in the Wychwood Project marquee at the Wychwood Forest Fair. 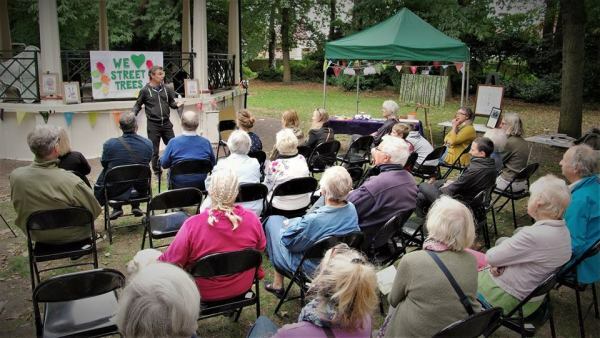 Julian will present illustrated talks on his travels to the ancient trees of the world on Sunday 27th & Monday 28th August at 12:30 in the 'Tipee' at the last ever Treefest. 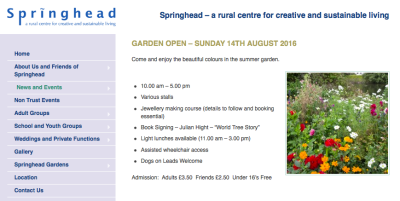 Julian will be signing copies of his books; World Tree Story and Britain's Tree Story at Springhead – a rural centre for creative and sustainable living – on Sunday 14th August from 10-5pm. 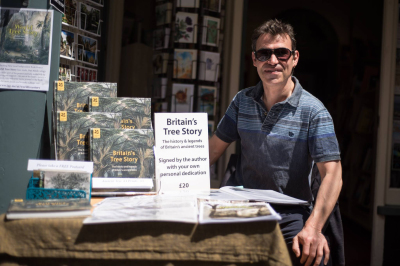 Julian will be signing copies of his books; World Tree Story and Britain's Tree Story at the Blenheim Palace Pop-up Shop during the BBC Countryfile LIVE event at Blenheim Palace on Saturday 6th August from 11-4pm. 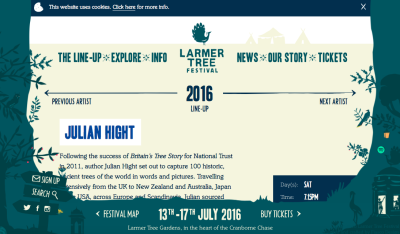 onstage in the 'Lostwood' area at the Larmer Tree Festival. 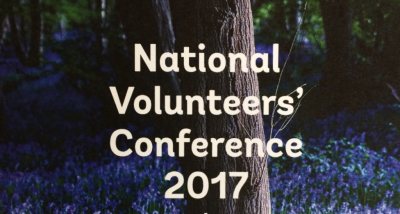 The conference runs from Thursday 7th July to Friday 8th July 2016. 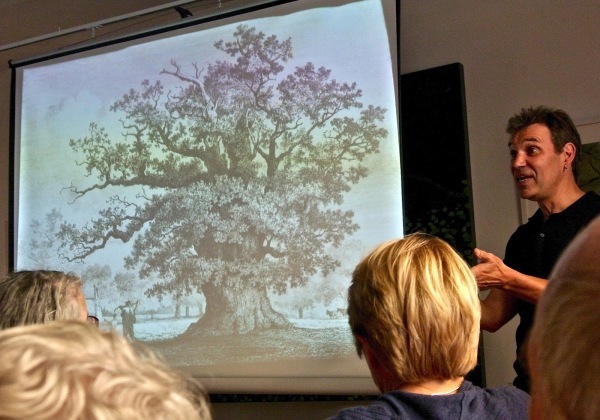 Julian will present a FREE illustrated talk on the world's ancient trees including the ancient Forest of Selwood at the Radic Pavillion at 3pm, and on-hand throughout the day to answer questions. 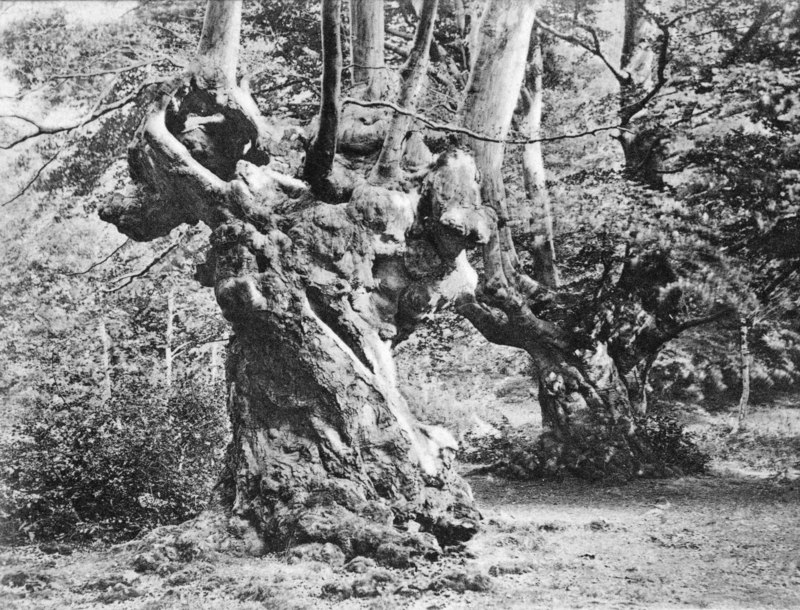 Julian has been involved with; ‘Selwood: A Forest Through Time’, Last Tree Dreaming FREE exhibition; A celebration of the ancient Forest of Selwood - history, legend, photos (old and new) of ancient remnant trees - cases displaying relics from working woodland and a timeline of Selwood's history and development. 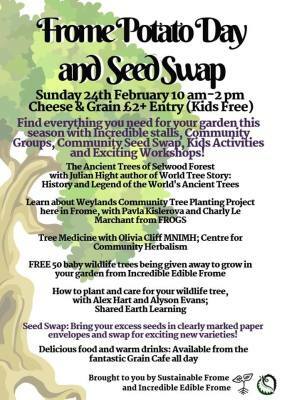 at Frome Museum (North Parade, Frome, BA11 1AT). Do you know what the object in the photo is? 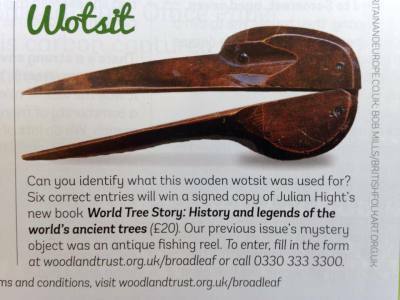 If you do, you could win a FREE copy of World Tree Story from the nice people at the Woodland Trust. 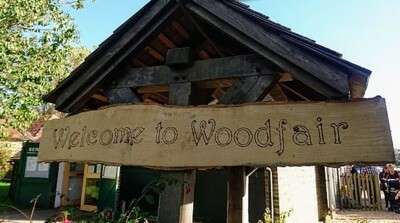 Julian will be presenting a talk on World Trees with particular emphasis on Selwood Forest at Last Tree Dreaming, Vallis Farm, Frome, Sunday 18 October 2015.